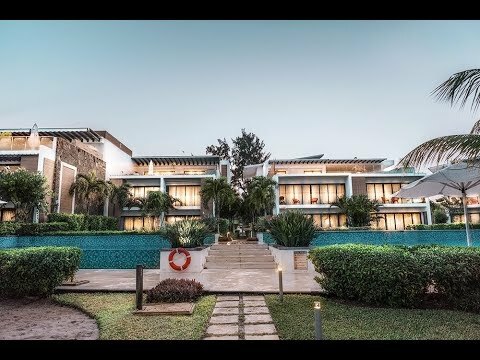 Cap Ouest luxury penthouse suite in Mauritius. Our Cap Ouest second floor suite features 2 bedrooms with en-suite bathrooms, a spacious living area comprising an open plan kitchen, lounge and dining area which opens directly onto a large terrace overlooking the ocean where you will be able to enjoy your private plunge pool watching Flic en Flac sunsets. Outdoor dining table and sun loungers are offered so as you can live outside your apartment if you wish to take advantage of the sun. Cap Ouest luxury penthouse includes modern luxuries such as LCD television mounted with satellite channels, free Wi-Fi internet connection, iPod docking station and Nespresso machine.